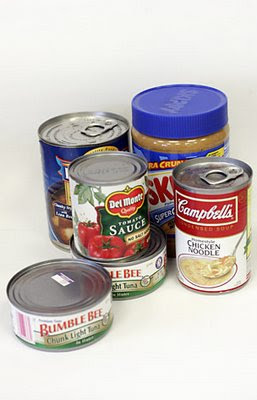 Go through your cupboards and pantries to see if there are items you can donate. Another idea is to take a small amount of cash (if you order out once a week or go out for dinner/drinks, put in that amount) and go shopping specifically for the drive. Canned goods, boxed cereals, cake mixes, canned/bagged coffee, rice, pasta, baby food, juice, water, sweets and treats, sauces, peanut butter, and baby formula are all accepted.